Guaranteed clean family magic entertainment with Aaron Martini. 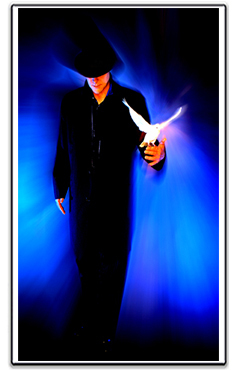 With a unique blend of magic, comedy and audience participation Aaron will make your family event more memorable. 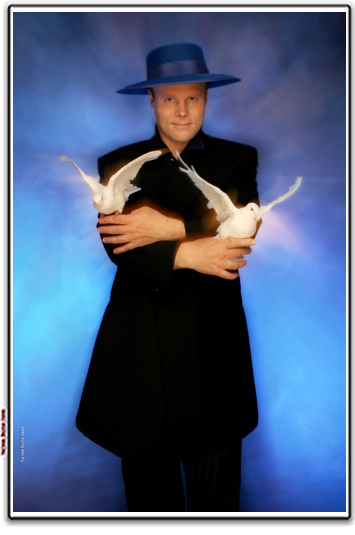 His sleight-of-hand Magic with doves, coins, bills, silks ... will appeal to all ages and will make your family event extra special! All of your guests will be taken on a journey of magic, mystery and intrigue. Contact Aaron for Guaranteed Family Magic Entertainment! to perform again at our next Annual Family Fun Picnic." " Definitely one of the best! "